Today Google quietly added a new feature to its Google Maps. 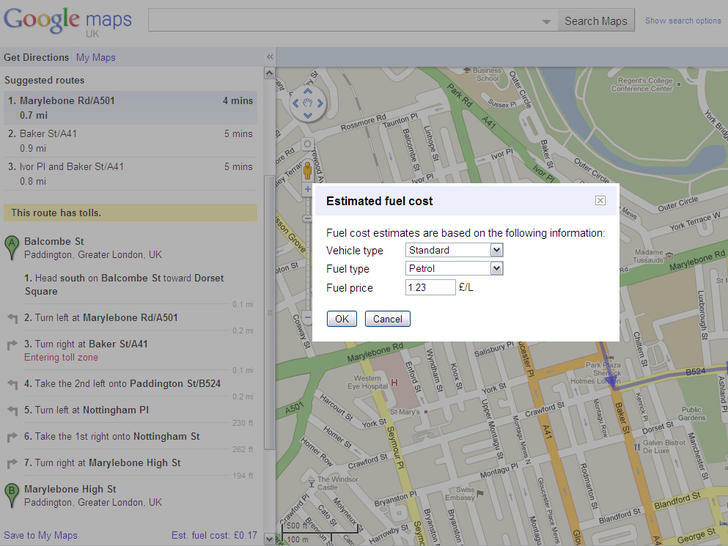 This new feature calculates the approximate fuel cost for your journey from point A to point B or even multiple stops. By clicking on the “Get Directions” feature the route is calculated along with the estimated fuel cost which appears at the bottom of the list. 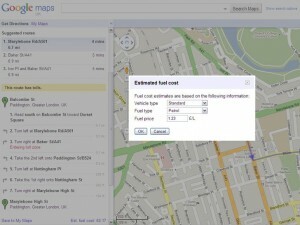 Google uses a third party vendor/software to get the local fuel prices based on the originating address. There is also an option to change the fuel type from petrol to diesel as well as type and model of the car you drive. It is not clear if the feature is available on smartphones yet. Its strange that Google has kept this new tool under wraps with minimum press coverage considering how much this might help in saving fuel and energy costs. New Tech to Increase Fuel Efficiency by using Exhaust!